General Grabber AT3 is your access to any adventure. General Grabber AT3 is your access to any adventure. The all-terrain tyre developed to meet the needs of SUV, pick-up truck and off-road vehicle drivers who want a combination of exceptional off-road capabilities and confident on-road manners. 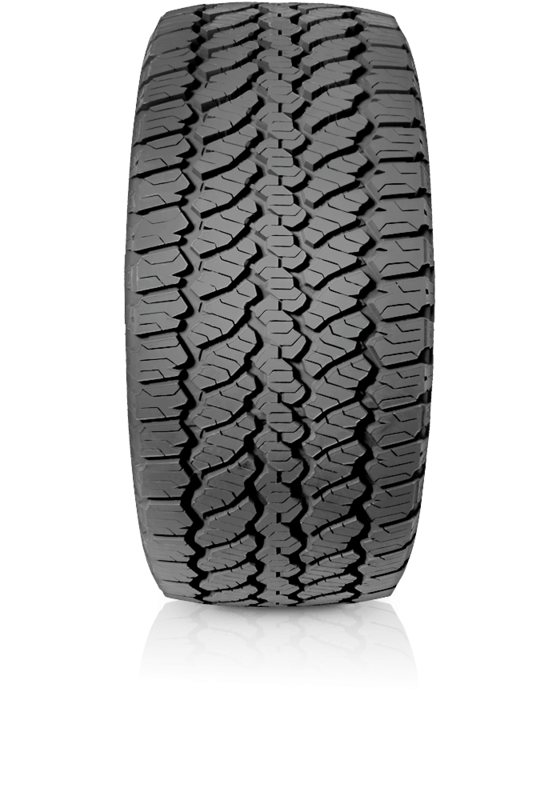 Grabber AT3 has an innovative pattern design achieves exceptional off-road grip through gripping edges that interlock with loose surfaces. The open tread shoulder ensures efficient self-cleaning action for added traction in mud. The tread has a robust compound and reinforced blocks ensures a long tyre life even in rugged terrain. Moreover, it delivers confident stability under all approved load conditions with ultra high-strength steel belts. The Grabber AT3 has a uniform block geometry for an even material distribution and optimized tread block orientation for a smooth interaction with the surface: both features allow a considerably comfortable and pleasant on-road drive in an all-terrain tyre line.